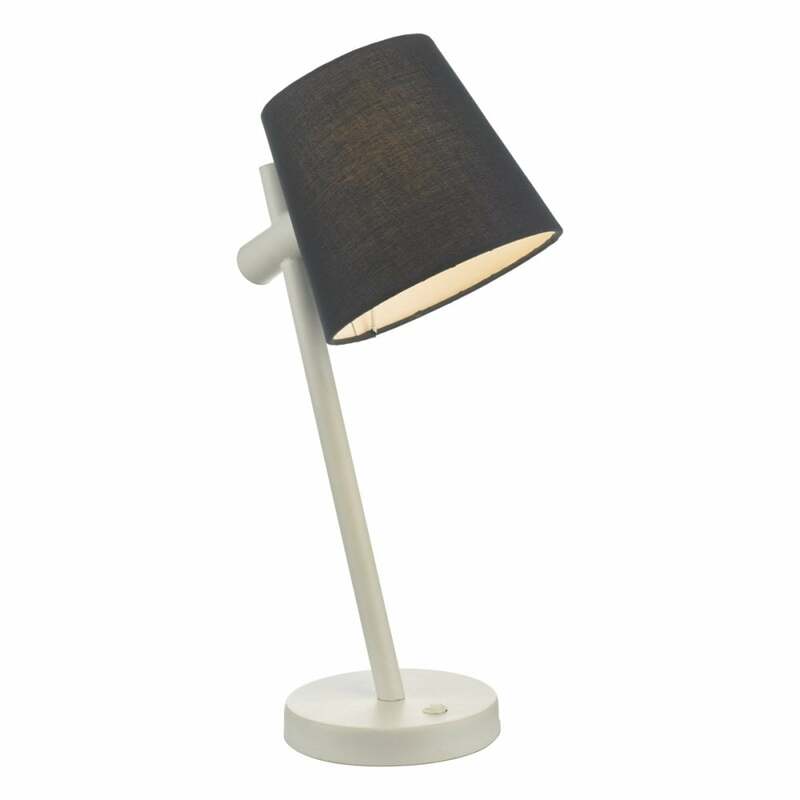 Dar Lighting Beula single light table lamp in white finish with navy blue cotton shade. Adding a simple fitting like this Beula table lamp to your room will illuminate contemporary spaces and provide a perfect lighting solution to any suitable room within your home or office. Rocker switch operated and double insulated. Also available to purchase on our website is the Beula wall light.